In this artwork, a printing process with flowers has been used. The designer has used coloured inks on blue card. The colour combination creates emotions of enjoyment and feminity as pinks are associated with females and the combination with the navy, white and orange hues convey the emotions of enjoyment. A central composition has been used to draw the viewers attention to the center of the canvas and explore outwards, this composition makes a balanced atmosphere. The use of flowers conveys emotions of care as the person creating the prints has to be careful to not damage the flowers. The materials, processes, and techniques are effective in communicating its intended meaning. In my greetings card experiments I will use various printing processes and natural forms to convey emotions of care. In this pullout message they have used plastic, white paper, red card and markers. The use of the red card and the coloured markers evoke emotions of love as red is sssociated with love. Visual lanaguage has been used to create emotions and convey emotions as thy ha w used heart imagery which conveys messages of love and handwritten typography which makes the work feel personal, and special. This piece used materials and processes effectively in communicating its intended meaning. This piece makes me want to create more interactive cards for birthdays and Valentine’s Day. I will take the process of this piece and make it for Valentine’s Day. In this drawing, fine liner, a balloon and paint have been used. 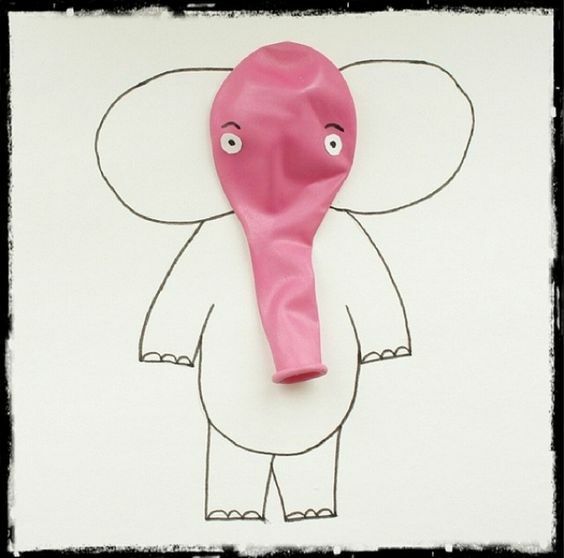 The use of an unused balloon on top of a flat surface area creates a feeling of excitement as balloons are associated with parties. Colour has been used to make the focal point stand out. The primarily black and white image uses a pink balloon to convey the emotions of happiness, and joy – this is because pink is a positive colour due to it conveying emotions of love and purity so this evokes warm and happy feelings. I feel that this piece uses materials and techniques to communicate its intended meaning effectively. Looking at this piece gives me ideas of using materials that can stand out from everything else, to create an interesting design that also encourages emotions. In this card various thickness of card have been used, a coffee staining process, a glass jar and pages from a book. 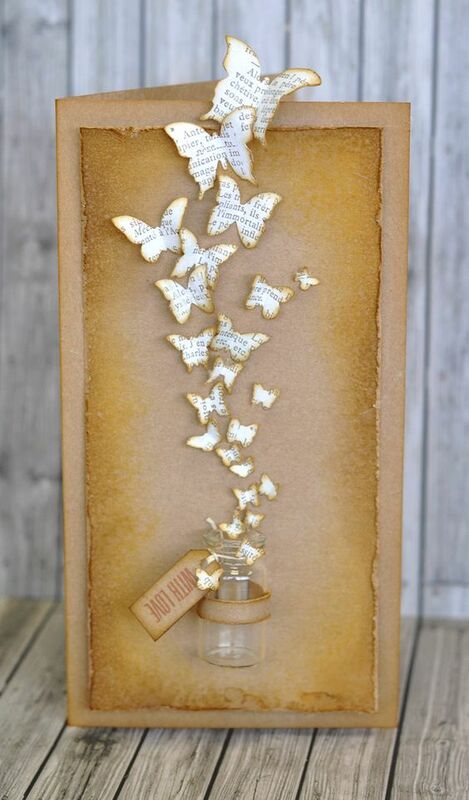 The designer has cut the book pages into folded butterflies which have been made to look as if they are flying out of the jar. Emotions of warmth and kindness are created through the use of materials and processes as the coffee stained card evokes the feeling of being at home surrounded by comfort, this is due to coffee being a common smell in homes. The use of butterflies over other bugs is that they evoke emotions of kindness and joy as they’re the typical emotions felt when surrounded by butterflies. Visual language has been used to convey meaning and emotions. On the jar there has been a tag created with the typography ‘with love’ this conveys emotions of kindness and thoughtfulness. The central composition means that your eyes are on the centre of the imagery and then follow upwards in the direction of the butterflies. This conveys messages of feeling free and relaxed. The materials, techniques and processes used are effective in communicating emotions of kindness and warmth due to their colours, composition, textured and subject mater. From looking at this card I have gathered ideas of using different types of card and paper to create 3D elements within my sympathy card, this is to create an interesting visual but to also make the card feel more personal.